mother have a full plate. Early last calendar year, Cameron had to be placed in a behavioral hospital for a week because of outbursts that could have been a safety risk for himself and others around him. A change in his medication and learning some techniques to better manage his emotions have proven to be of some help. More recently, an effort to change Cameron’s diet to include less processed food and more fresh produce, seems to offer some welcome hope for what might be the most positive impact. There is sometimes a perception that eating healthy or including more produce in your diet can increase your food costs. It doesn’t have to. Cost-cutting measures can include starting your own garden, watching for sales, coupon cutting, and checking in at your local food pantry where often times local groups such as Master Gardeners or other local growers who are willing to donate to help families in need. have been outstanding with more than 200,000 lbs. of potatoes, apples, onions, beets, carrots, sweet potatoes and oranges distributed for pennies on the pound. And, because an individual’s food choices are affected by several factors including how they were raised and where they live, changing those food choices can be difficult. Designing programs that help people learn how to make better choices is paramount to improving the health of our citizens and reducing health care cost. for meals that take little time but offer significant health benefits. And, participants were able to sample the food items – dispelling the notion that eating healthy meant giving up flavor. Because participants lived near the class location; attendance by this group has been nearly 100%. Other programs of a similar model have been very successful in other cities. 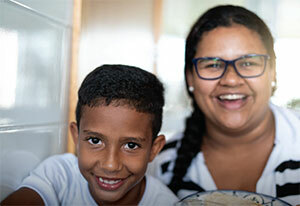 “Distributing food to children, seniors and families in need is our first priority, but we also recognize more must be done to fully address and bring an end to the systemic, complex issue of food insecurity,” stated Traci Simmons, Feeding America, in Feeding America is Nourishing Communities to Make Meaningful Progress toward Ending Hunger. Food security by definition includes the call for providing food that helps promote a healthy and more active lifestyle. Terre Haute Catholic Charities Foodbank has a vision to provide more produce to our communities and we ask you to be part of that effort. For more than 38 years the Foodbank has worked to reduce hunger by providing greater access to emergency food assistance to families and individuals in west central Indiana. The statistics were alarming in 1980 and they remain so even today as we have increased the amount of food we collect, warehouse and distribute by a factor of 20! For more information on the programs we offer, please call us or visit our website. Thank you for your interest and please keep us and those we serve in your prayers. By 2025, Feeding America, in collaboration with our network and our partners, is working to ensure access to enough nutritious food for people struggling with hunger, and make meaningful progress toward ending hunger. Recognizing the intersections between diet quality, health, food, and financial security, Feeding America’s community health and nutrition team has embarked on a transformational journey with health care partners and the national network of food banks to improve the diet quality of individuals experiencing food insecurity. 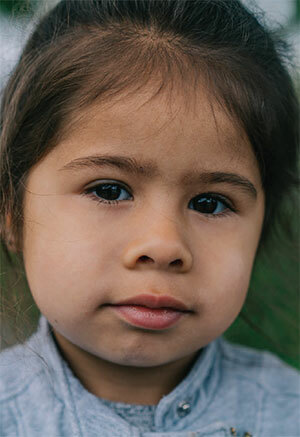 Over the past 35 years, Feeding America has grown to be the nation’s largest domestic hunger-relief organization – currently serving more than 41 million people who are food insecure through a network of 200 food banks. Distributing food to children, seniors, and families in need is our first priority, but we also recognize more must be done to fully address and bring an end to the systemic, complex issue of food insecurity. The challenges to achieving and maintaining food security span beyond, but are still inclusive of, food access. 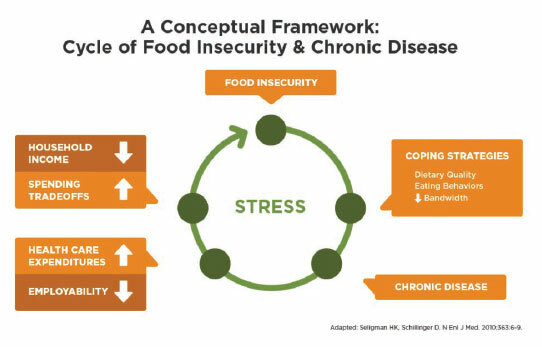 We also know that food insecurity is linked to poor nutrition and chronic disease, and is illustrated in the below cycle, without effective, cross-sector interventions, individuals are progressively challenged with adverse coping strategies, poor disease management, increased health care expenditures, lower employability, increased spending trade-offs, and decreased household income. In the midst of this, toxic stress takes its toll on one’s overall capacity to thrive. With Feeding America’s reach, expertise, and partnerships, we are positioned to influence systems and structures to increase healthy food choices and address barriers leading to this cycle of food insecurity and chronic disease. The community health and nutrition team is specifically focused on the two areas below and looks forward to working with partners across sectors, such as you, to make measurable change. Between July 2018 and June 2019, Feeding America will continue to leverage research and provide turnkey tools to implement, scale and evaluate nutrition nudge interventions, nutrition policies, and local health-centered initiatives in collaboration with the nationwide network of food banks. Additionally, Feeding America is actively constructing improvements to the Foods to Encourage (F2E) framework, leveraging data and technology to improve measurement, and access to nutritious foods. Collectively, these efforts aim to help make the healthy choice the easy choice across multiple audiences. Health care systems (i.e., providers, payers, insurers, etc.) are necessary to improving the diet quality of individuals served, and they are also increasingly focused on addressing the social determinants of health. With Feeding America’s expertise and national and local reach, we are building national, strategic partnerships to engage the evolving health care system and more fully support the needs of patients – many of whom are experiencing food insecurity. Already, food bank-health care partnerships are engaged in screening for food insecurity and providing interventions for care, including healthy food distributions in health care settings, healthy food delivery programs, referrals to food banks and pantries, and SNAP (formerly food stamps) application assistance. With the people we serve at the center of this work and collaboration across sectors, we are hopeful to meet Feeding America’s 2025 goal of ensuring access to enough nutritious food for people struggling with hunger, and make meaningful progress toward ending hunger. 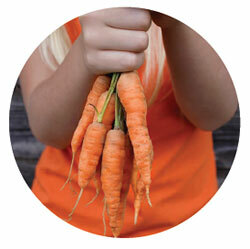 To learn more or join in this work, contact Feeding America. office at 1801 Poplar St., Terre Haute or online at ccthin.org.